Are you one of "those" parents? If so, pour a cup of coffee, grab a tissue, and stay for a while. You're in the company of a good friend. They’re the parents who other people secretly believe must be doing a crappy job, the ones whose children don lacrosse gloves to weed the flowerbed, won’t turn in their homework, and throw age-inappropriate tantrums in public. They’re the parents one frayed nerve short of a breakdown as they scrub off the giant perceived “L” for Loser from their foreheads, turning for help to every source they can think of, because their kids just don’t respond like other kids, because their kids aren’t like other kids. The very brains of their children are wired differently, and the disciplines, motivators, and strategies that are supposed to work on them, according to conventional wisdom, don’t. These are the parents of children on the ADHD Spectrum, and most of them have used up their Phone a Friend Lifeline and just want a little understanding and the hope of shared knowledge from someone else who has survived a life like theirs. They are parents like Pamela Fagan Hutchins, whose son, dubbed “Clark Kent the WonderKid,” has ADHD and Asperger’s Syndrome. Pamela takes readers on a heart-wrenching and hilarious road trip from toddler to adulthood with Clark Kent and his family, sharing their collective wisdom and empathy along the way. "Clark Kent and his Momma are my kind of heroes." "Survivor's guide for parents like me." "I now know I am not alone." "My mother is ruining my life." At first, I only posted my stories to a private family blog. My actions (and scribblings) did not register on the radar of our “Clark (of course, Clark isn’t his real name, but we nicknamed him Clark Kent long ago. I used pseudonyms throughout this little tome to protect the innocent, criteria which requires my husband Eric and me to use our real names).” Actually, not much registered on his radar. One of the hallmarks of his ADHD is his incredible lack of observation skills. This serves him well at times. I branched out. The Clark Kent Chronicles vignettes began to pop up in my Facebook statuses. Clark refused to accept my friend request, so he stayed blissfully ignorant, but other people noticed. The kid who drove me nuts, the kid I wrote funny stories about to keep from crying over, delighted my friends. So I branched further out. By now, I had a public website with a modest following. I expanded my vignettes into essays. Readers loved him. And in a moment of soul-baring self-therapy, I pushed “Confessions of a Guilt-Stricken Mom: Loving My ADHD Son” out into the great unseen masses on the internet. The response overwhelmed me. My maternal suffering and my attempts to laugh about it touched a nerve. Clark was the boy other stressed-out ADHD parents could read about to feel better about their own kids and themselves. He made it all OK for a lot of people who really were at the end of their endurance. Those parents were learning, like me, that no one had a one-size-fits-all-solution or perfect answer for them: not psychiatrists, psychologists, in-laws, PTA buddies, or strangers in line at Walmart. They were parenting their kids by trial and error, too, and managing, just barely, to survive it. By this point, Clark had relented and let me into his Facebook world, although I wasn’t allowed to interact with him. Too embarrassing. (Kids!) Tentatively, I prodded him to see if he had noticed the Clark Kent Chronicles posts in his News Feed. “Did you see I mentioned you on my blog? It was on Facebook,” I asked. “Uhhhhh,” Clark said. Or didn’t say, rather. From this exchange, I intuited that he was crazy in love with me writing about him, and that he wanted me to rock on. Go, Mom, go! I’m highly empathic like that. I launched a Facebook fan page. A budding writer himself, Clark became more interested in my writing overall. I wrote a novel, Going for Kona, based partly on my feelings about my awesome husband and partly on my feelings about my awesome son. At first, he devoured it. Then he came to bad parts, where Mom and Son fought, and Husband died. Big tears ran down his cheeks. He paced circles around the house in his worn-to-a-nub flip-flops. He argued with me to change it. I wouldn’t. And he refused to read another word, unable to deal with his enormous middle-school-boy emotions. But he was proud of me. He started to read my other pieces. Sort of. For a while. Mostly he just daydreamed about his mother becoming the next Great American Author, when he wasn’t playing computer games on the sly or hiding his school progress report. Unfortunately, it was during this time period that The Clark Kent Chronicles as a body of work finally broke through his haze and into his cerebral cortex. We had a serious sit-down. Clark pointed at a sentence in a piece called “Poo Poo on You.” “That’s not what happened,” he said. “What? It’s pretty much what happened. If I wrote exactly what happened I would bore people with 500,000-word manifestos. It’s not a lie. I write semi-true. Isn’t that better, anyway? You have plausible deniability. You can tell people that your mother just makes this stuff up,” I said. He thought about it. He suggested I use a different name for him. I considered it for a couple of seconds. I suggested I continue to use Clark Kent. He relented. Sort of. A few years passed, and here we are. Clark, I promise, this isn’t going to ruin your life. And if I make any money at all off The Clark Kent Chronicles, the first thing I’ll do with it is pay for your therapy. I promise. Type A, slightly OCD woman that I am, I just believed I could engineer a solution, that my will and need for control were stronger than anything God and Clark’s genetics could put in front of me. We employed every suggestion we could find to help him, short of medication, until he was in his teens. But no matter what we did, Clark was still the kid who would leave the kitchen with an assignment to put up his folded laundry and forget it by the time he reached the living room, then happily return to the kitchen after a few meandering laps around our house to sit down and read The Ranger’s Apprentice, without understanding why his mother’s face had just turned purple. I want to introduce you to this amazing creature, my son. In eighth grade, Clark received a commendation in all four of the standardized TAKS (Texas Assessment of Knowledge and Skills) subjects. He participated in band and lacrosse. He played a primary role in his middle school play, The Naked King. And yet he almost drove his parents crazy with constant, inexplicable Clarkisms along the way. Back then, his counselor asked us to teach Clark responsibility for his own actions using Love and Logic Parenting (Techniques to help parents have more fun and less stress while raising responsible kids of all ages, from the Love and Logic Institute. http://www.loveandlogic.com/) in conjunction with the assistance we all gave him on organizational skills. The staggering amount of assistance we gave Clark with organizational skills, which he absolutely hated, whether it came from the counselor or from us. But the counselor claimed great success with the Love and Logic methodology. We were supposed to clearly state to Clark that he is responsible for a certain behavior (i.e., turning in completed homework) and that if he chooses not to do the behavior, he is choosing the consequence that goes with it (i.e., yard work). Sure . . . but it didn’t work on Clark at all. Not a single bit. It worked amazingly well with his non-ADHD siblings, though, so it was not a total waste. To give you just a taste, I offer up this very one-sided Instant Message conversation between my husband (stepdad) and me (mom). This exchange is about yard work Clark was supposed to do as a consequence for not turning in completed homework. mom 4:42pm: i had to stop him over and over when he would say something nonresponsive designed to make me think he had actually talked to the teacher, and i’d say, that’s not what the teacher said, what did the teacher say, and it turned out he hadn’t talked to the teachers at all! stepdad 4:44 pm: LACROSSE GLOVES? you have got to admit, that is pretty funny . . .
mom 4:45 pm: ask me tomorrow and maybe it will be funny then . . . Besides a lack of organizational skills, another hallmark of the neuro-atypical mind is creative problem-solving. (For purposes of this book, neuro-atypical will describe people on the autism or ADHD spectrums. Conversely, I will use neuro-typical to describe people that have neurological development and states consistent with what most people would think of as normal, particularly with their executive functions and their ability to process linguistic information and social cues.) Solutions that don’t seem logical to the rest of us, necessarily, but make perfect sense to the child. Clark gives us lots of examples of this trait, sometimes in a dangerous way. Let’s just say you don’t want to send him out with any type of cutting implement without a clear set of instructions, a demonstration, a run-through, and constant oversight. Which begs the question: Why the heck don’t I just do this job myself, if he isn’t learning anything from it? Ah, but he is, Grasshopper. We must be patient. Very, very patient, my inner kung fu master says. Note that it truly is a miracle that Clark survives his mother; yelling only once in this lengthy exchange was quite an achievement for me. Intellectually, I know yelling does no good, except to occasionally keep my head from exploding off the top of my neck. Our learning from the scenario above? That Love and Logic doesn’t overcome the wiring of an ADHD brain. Some behaviors just aren’t choices for Clark. Some are, though, and one of our challenges is to keep him from gaming our system by using ADHD as an excuse for bad choices, especially as he becomes more parent-savvy. Lacrosse gloves . . . it was pretty funny. 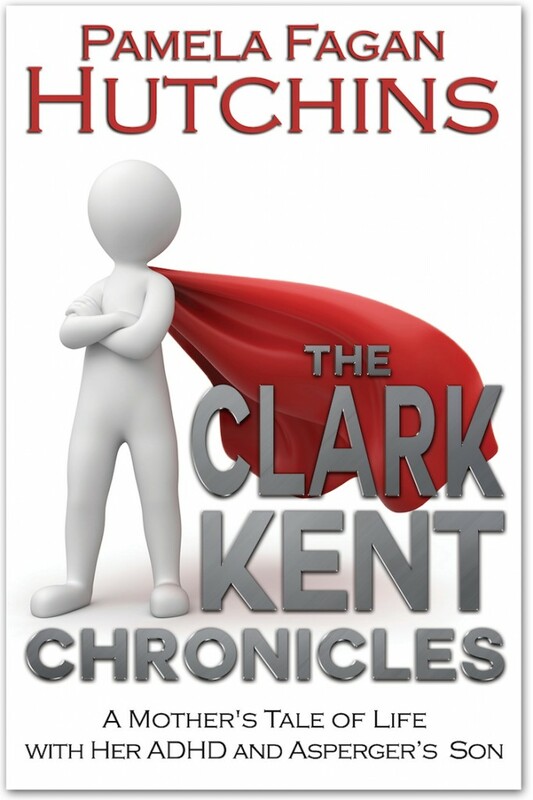 Click here to continue reading The Clark Kent Chronicles.